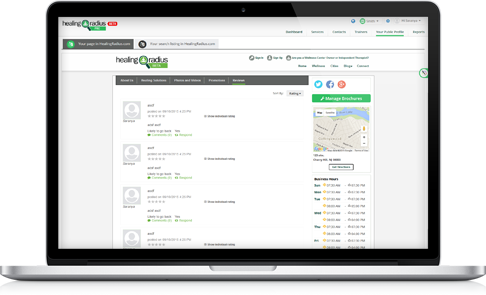 HealingRadiusPro has made it easier than ever to keep track of all of your booking information. 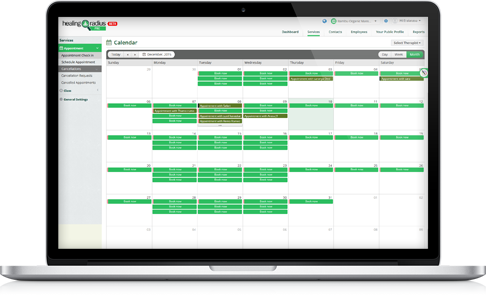 With our easy-to-use online booking and appointment calendar feature, you can add, edit, move, and delete appointments, as well as confirm cancellations, all from one online location. 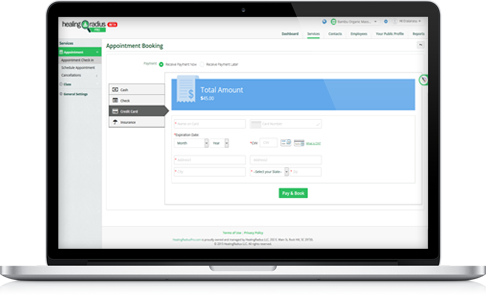 Don't worry about processing payments while clients are checking in, because with HealingRadiusPro clients can easily pay for their appointments online. When your clients book an appointment or a class, they can simply select their payment option, from checks, credit cards, cash, or insurance. We accept it all, so you can worry about more important matters. 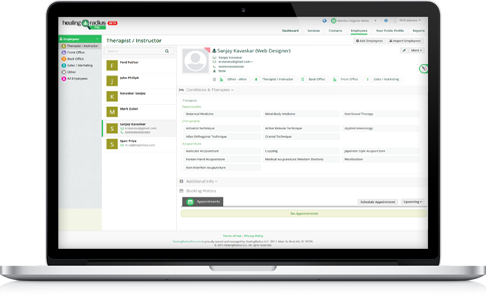 By using HealingRadiusPro you can easily manage and organize all of your staff members with easy-to-use staff scheduling, time management features, and so much more. 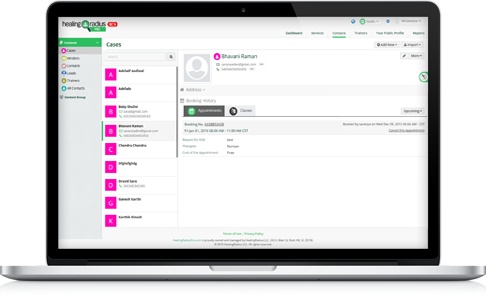 HealingRadiusPro simplifies managing your contacts by allowing you to access everything you need for your business and clients, including payment history and attendance records in one online location. With HealingRadiusPro’s reviews and comments section, your clients can leave glowing reviews of your services, ask questions, and give referrals. This feature also provides you the option to reply to comments and answer questions, all from one online location. Claim your business on HealingRadiusPro and start growing your business community today!